In 1968, Professor Murphy received his B.A. degree in English literature from the University of Windsor, in Ontario, Canada, as well as his L.L.B. in 1971. He joined the Law Library at Windsor in 1971 and earned his Master of Science in Library Science in 1974, as well as a Master of Urban Planning degree in 1980, from Wayne State University in Detroit, Michigan. In 1975, he was appointed as Law Librarian and Assistant Professor. In addition to legal research, he has taught courses in Canadian legal history, as well as law office use of the computer. 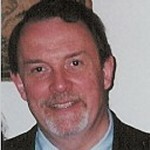 His publications include articles in Canadian legal research, and Canadian legal history.